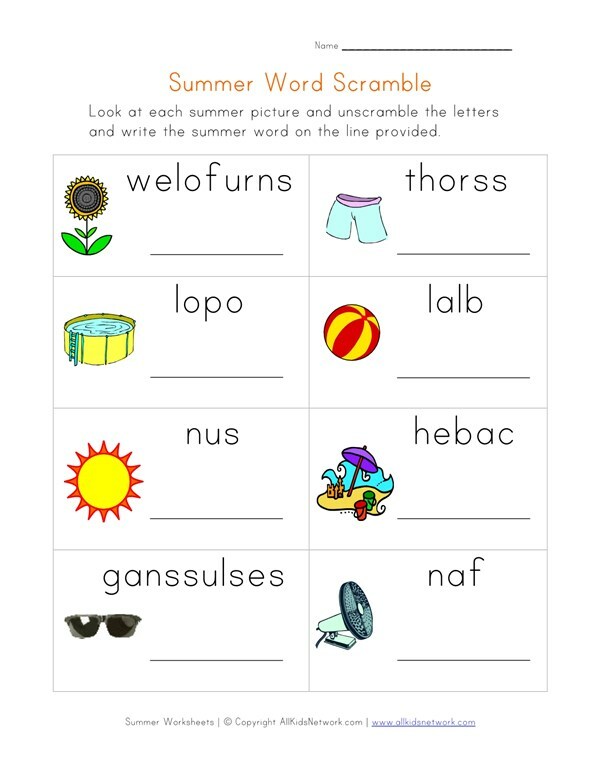 Kids will enjoy learning with this printable summer word scramble worksheet. 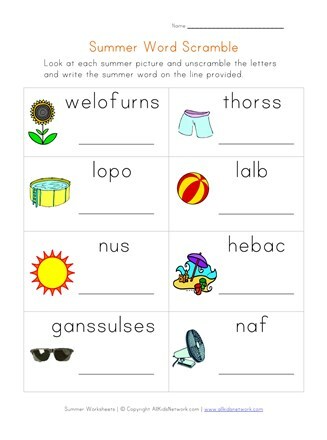 Unscramble the summer words that go with each of the summer pictures. This is a fun and educational activity that will help kids practice their spelling. Print this worksheet out with the rest of our summer worksheets and have fun.